Alvin & The Chipmunks attend the ceremony honoring them as they celebrate 60th Anniversary with Star on The Hollywood Walk of Fame on March 14, 2019 in Hollywood, California. 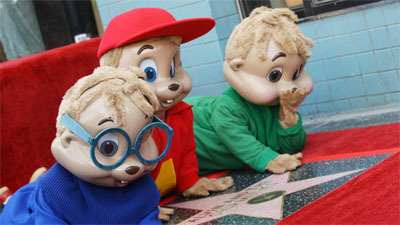 A star on the Hollywood Walk of Fame honoring the Grammy-winning animated singing group Alvin and the Chipmunks was unveiled Thursday as part of the celebration of their 60th anniversary. The star was accepted by Ross Bagdasarian Jr., the president and CEO Bagdasarian Productions, which produces the Chipmunks projects, and his wife, Janice Karman, the company’s co-president, at an 11:30 a.m. ceremony in front of the Hollywood Toy & Costume Shop on Hollywood Boulevard. 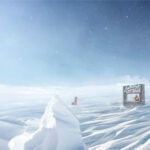 Bagdasarian supplies the voices of Alvin and fellow Chipmunk, Simon, and their manager and human adoptive father, Dave. Karman supplies the voice for the third Chipmunk, Theodore, and The Chipettes, Brittany, Jeanette and Eleanor. The star is the 2,657th since the completion of the Walk of Fame in 1961 with the first 1,558 stars.